Speaker and HBBC Member Bennie Hall with Second Vice President Cecelia Weston. 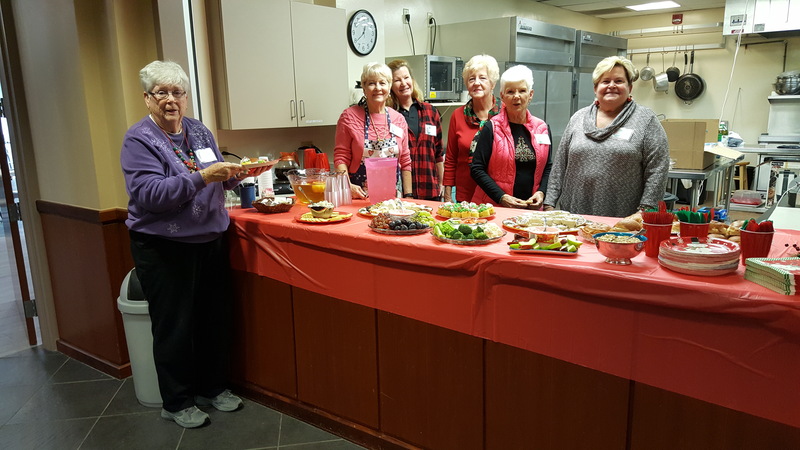 The Holden Beach Beautification Club held their regular December meeting on December 12. 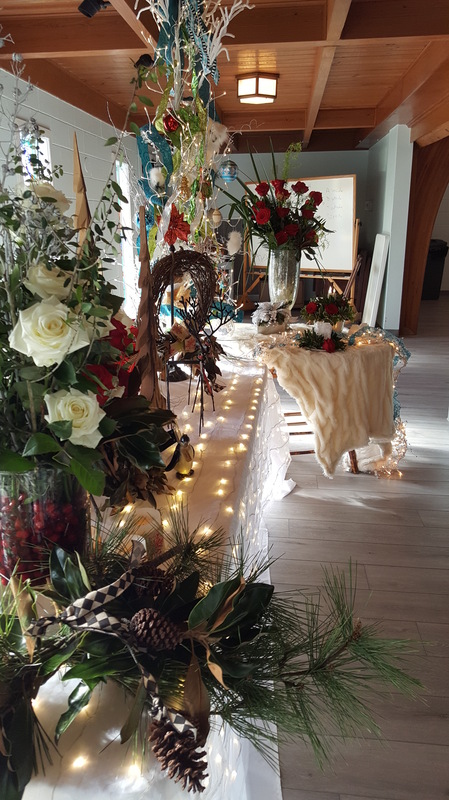 Bennie Hall, ASID, NCIDQ, presented “Fast, Fun and Affordable Holiday Decorations”. Besides being an HBBC member and Golden Gardener, Bennie is a professional designer and has also worked in the floral industry. She shared tips she uses in her own home as well when decorating for others. The Holden Beach Beautification Club wishes everyone a happy and safe holiday season and a wonderful 2019! HBBC Member Dolly Mitchell samples the goodies provided by Marlene Barz (Chair), Kate Felmly, Jean Smithson, Carolyn Metrakos and Judy Bayless. This entry was posted on December 16, 2018. Bookmark the permalink.